Yes Familia, it's been 2 years (just about) since our great friend and master Renato has been away from San Diego. He made a really great impression on the Casino Community when he was here and the great news, is that he will be visiting on the weekend of Nov 17th & 18th. The plan is to have a welcome home party on Sat 11/17 to celebrate having him in town, catch up, dance, drink and who knows what else! on Sunday 11/18 there will be a 3-hour workshop, where he will be covering advanced casino and a few extra things that are sure to help you continue your amazing journey in the world of Cuban Salsa. Renato has been dancing Cuban style (Casino,Rumba,Son, Cha Cha Cha) since he was a teenager under Cuban Masters in Chile, where it is also taught in the Universities. Has gone on to actually teach at the same University as well as start his Team "Guayaberos" there. Where under his teachings, have gone on to perform and compete. They have performed not only for live audiences but on Chilean National Television as well. He made his way to San Diego a few years ago and started a new "Guayaberos TJ" along his Co-Directors Miroslava Wilson & David Mariano (2 amazing and accomplished dancers already ) also performing all over Baja California,Mexico and even here in SD. He has such patience yet an increadible amount of energy not easily rivalled when it comes to dance. If you missed him when he was here before, here is a chance to meet, dance, and learn from him, oh and party of course. For those who did get to know him, it's a huge welcome home party reunion. Come join in on the madness. Update for the workshop, Rudy Tamayo (organizer of this event) has an early bird special if you pay by Monday, November 5th, $15 total for all 3 hours of workshop cash only. You must contact Rudy if you want to take advantage asap 480-788-2640 call or text him (make sure you text him who you are). Rudy is always at Dancing Unlimited on Tue/Thu evenings 7-10pm & Sat 1-3pm, so you can there there if you are in that area. That's right! Your eyes are not playing tricks on you! 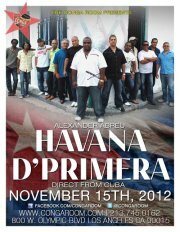 The most popular band in Cuba (and the world for Cuban salsa) is making their tour around the US and they are stopping in LA. 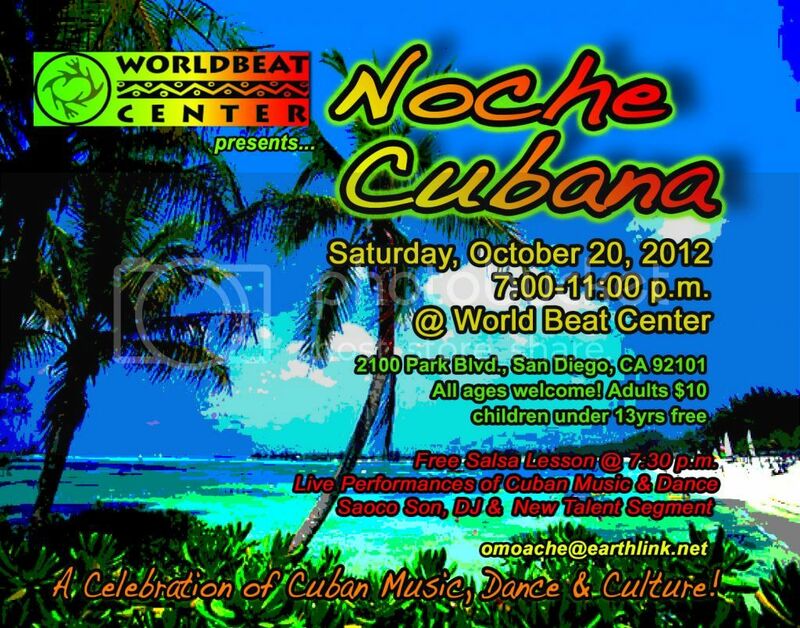 It's that time again to get on the dance floor and give it all you got with Cuban sabor de candela! 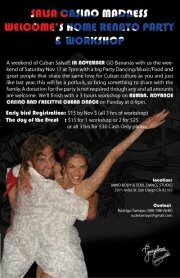 San Diego's best Cuban party. Get there early for the dance lesson and for the live performances. It's time to plan caravans to LA to dance with our LA casino family. Yes, it's Curuye's Cuban Dance Party! This is one party you don't want to miss! Great food! Great music! Great company! Text me if you are planning to go and want to carpool because, sadly, I will not be able to go due to a business trip to Phoenix. Regardless, we need to know if would like to go and start a caravan to LA. Call me (Maritza) at 206-300-4523 or e-mail me at sbdiva32@yahoo.com. The link is up for purchasing your early bird full pass for the 5th Annual San Francisco Rueda Festival Thursday, February 14th through Monday, February 18th, 2013. The early bird full pass sale will end November 1st. So get your tickets now! Click here to access the ticket purchasing link. Don't forget to buy your ticket to dance, watch a few performances and get your groove on with La Farandula (All Cubana Timba band from Tijuana). It is going to be off the hook! But tickets are and have been going fast. Click this link to purchase your ticket online with Palomar Performing Arts Box Office. Orlando, Tava, Michelle, Nabia and I (Maritza) are going to the Friday show.